A young, yet very skilled mystic of the Dragon Caste, Athora is VERY passionate when it comes to anything magic-related. The Namekian dove straight into his studies at a very young age, and quickly increased his skills in all sorts of schools of magic. Besides the regular Namekian mysticism and religion, Athora has also taken an interest in Gravity Manipulation, Light Magic, and is even studying some of the darker arts of Shadow Magic ever since a nasty encounter with a Nightwalker. Although he's an extremely skilled mage, Athora does have his downsides. Most notably that Athora is unable to perform any sort of Healing Magic, even though he's part of the Dragon Caste. 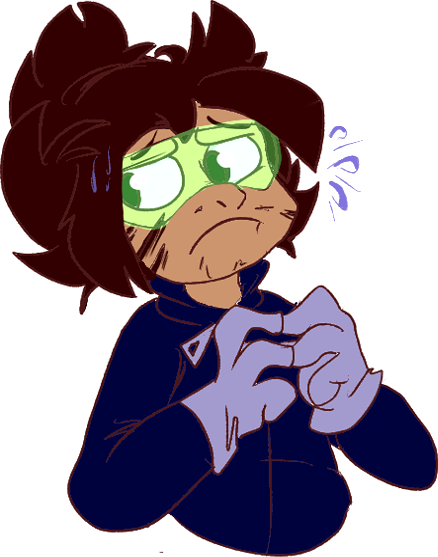 A Dragon Caste Namekian that has no aptitude for healing...Yeah, it's safe to assume that Athora feels very ashamed by that fact. 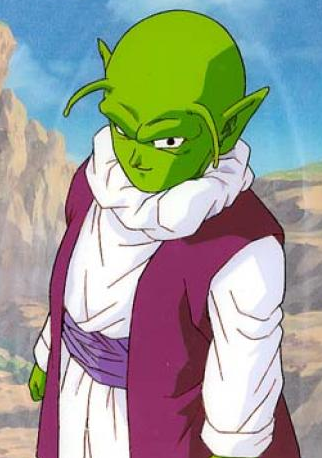 Nevertheless, his amazing progress as a Mystic has gotten the attention of many Namekians, most notably Bulim, who quickly sought the spry Mystic out soon after Rhytid became the Warrior Caste Leader. Alongside Bulim, Rhytid met up with Athora in the latter's village, where he aided the two Warriors with their Gravity-enhanced training. Absolutely mesmerized by the brute strength and skill the Warriors showed, Athora grew to really look up to both Bulim as well as Rhytid. The Mystic is quick to seek out Rhytid whenever he needs his help with something, or just wants to show him something really cool. While Rhytid is truly grateful of the Mystic's aid, he does feel that Athora can be a little bit...TOO energetic from time to time. But then again, who is he to complain? Currently, the two work together closely, aiding eachother, and Namek itself, in whatever way possible. [N1]Lightforged Shield: Athora conjures a shield made from light itself, protecting himself from incoming danger. This technique costs 1 KP, and charges at 33% a turn. If the barrier's PL is within 65% of the attack's PL, the damage is halved. If it is under 65%, only a quarter is reduced. [UP2]Lightforged Bulwark: Athora conjures a bulwark made from light itself, protecting himself from incoming danger. This technique costs 2 KP, and charges at 66% a turn. If the barrier's PL is within 65% of the attack's PL, the damage is halved. If it is under 65%, only a quarter is reduced. [MP3]Lightforged Aegis: Athora conjures an aegis made from light itself, protecting himself from incoming danger. This technique costs 3 KP, and charges at 100% a turn. If the barrier's PL is within 65% of the attack's PL, the damage is halved. If it is under 65%, only a quarter is reduced. [SU1]Telekinetic Pulse: Athora uses his telekinetic powers to place pressure onto an opponent's head, causing a throbbing headache and reducing their concentration. This technique uses 100% of Athora's PL, and can disrupt a technique's charge if the stun's PL is within 80%. [SU2]Telekinetic Grip: Athora uses his telekinetic powers to place a large amount of pressure onto an opponent's head, causing a throbbing headache and reducing their concentration. This technique uses 200% of Athora's PL, and can disrupt a technique's charge if the stun's PL is within 80%. [SU3]Telekinetic Crush: Athora uses his telekinetic powers to place an insane amount of pressure onto an opponent's head, causing a throbbing headache and reducing their concentration. This technique uses 300% of Athora's PL, and can disrupt a technique's charge if the stun's PL is within 80%. [UT]Flight: You know this one Athora can fly! WHOOOO! Approverino'd! A guard will be added to your inventory shortly.